Cohen Attorney: Trump Directed My Client To Commit Crimes For The Purpose Of Influencing The Election - Joe.My.God. “Michael Cohen took this step today so that his family can move on to the next chapter. This is Michael fulfilling his promise made on July 2nd to put his family and country first and tell the truth about Donald Trump. Today he stood up and testified under oath that Donald Trump directed him to commit a crime by making payments to two women for the principal purpose of influencing an election. 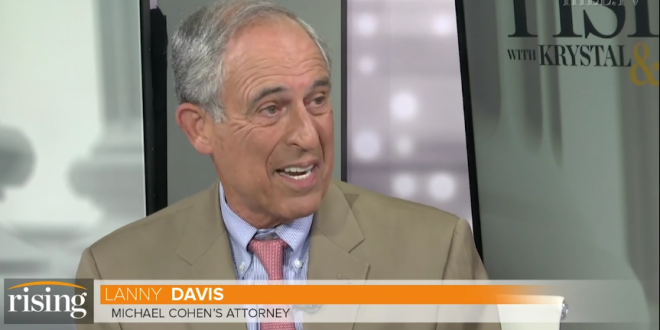 If those payments were a crime for Michael Cohen, then why wouldn’t they be a crime for Donald Trump?” – Cohen attorney Lanny Davis.